"When you hire Max, you're not getting a keynote speaker - you're getting a keynote experience!" Maxine is a vibrant speaker, training professional and coach whose quick wit and business savvy has created an international demand for her “Collaborcate!™” keynotes and workshops. This is no death-by-powerpoint! (Make sure you check out her video.) Using one the most exhilarating forces in business today, application of improv, she reveals the building blocks of improvisation, with this highly experiential presentation, and translates them to professionals in every industry who know collaboration, agility,and boldness, must be top priority, in order to capture and retain today's top talent. Your participants will leave with a new way to make ALL collaborations, quick, fun and productive, through respectful and generous communications, while creating big, bold solutions they will implement right away. No, really! Maxine is a 25-year veteran of the business world and financial industry. She spent fifteen years at the Chicago Board of Trade, building a strong foundation of business expertise. It was there that she began seeing a need to change the channels of communication in organizations. 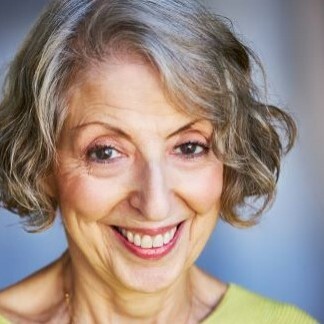 As an accomplished actor and comedian, Maxine performed regularly in Chicago’s vibrant off-loop theatre scene, and was a student of the Second City Improv Lab. After moving to Dallas she co-hosted a weekly financial radio show in the fourth largest media market in the country. Her highly personal approach, blending humor with down to earth analysis, brought her attention and praise from business analysts and listeners alike. She moved on to North Texas Public Radio station KERA 90.1 FM, continuing her savvy commentary on the daily “Marketplace Midday.” She was also a weekly guest on NPR’s “Marketplace,” one of the most widely heard business broadcasts in the country. Her reporting and commenting on regional, national, and international business practices and trends led to her bedrock conviction: that to remain competitive and vibrant, American businesses and organizations must be in collaboration with both their external and internal customers. Max motivates, inspires, entertains, and transforms groups through, HIGHLY interactive, powerful and fun exercises. Her unique Collaborcate!™ keynotes and workshops demonstrate how to inspire quick and productive collaborations, generous and respectful communications, creating big BOLD solutions. Experience what 100’s of organizations, from The Feds to FOX, Papyrus to Zappos call “Phenomenal!” “Transformational” “Energetic” &"Contagious!" Knows your industry's opportunities - As a Financial commentator for NPR’s “Marketplace,” and over 15 years on the floor of the Chicago Board of Trade, she speaks your language. Hundreds of organizations adore her! Find out more about Maxine Shapiro at http://www.maxineshapiro.com.